3 Bedroom Detached House For Sale in Chatham for Offers in excess of £345,000. 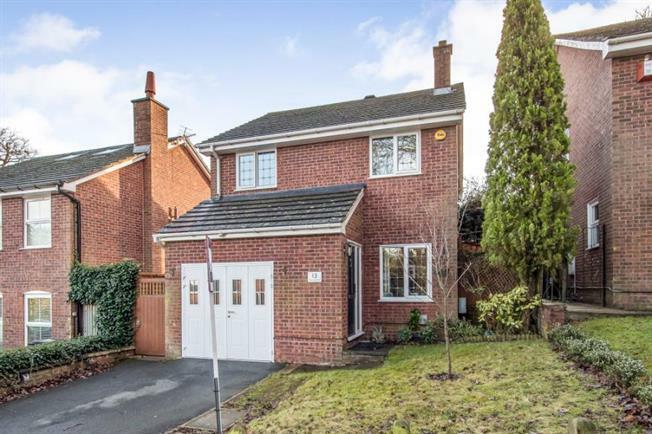 This beautifull detached house is presented in excellent decorative order and has undergone extensive improvements in recent years with a stunning modern fitted kitchen, contemporary family bathroom, underfloor heating and well established rear garden. There are three family size bedrooms on the first floor, an entrance hall and large lounge diner which overlooks the rear garden. There is also a garage with driveway to the front of the house. While this house is ready to move into there is great potential for a new buyer to extend the house to suit there own needs STTP. Set in a quiet cul de sac location close to the woods within a short walk of the village location is key to this property, the village has a variety of local shops, school and a library. The house also has easy access to the M20 AND A2 with fast train travel to London and Maidstone from Chatham, Rochester and Ebbsfleet. The easy road access also gives easy access to Bluewater, and other local shopping facilities.